She loved match play, showboating to the galleries, riding motorcycles and partying in the clubhouse with members after her rounds. As JoAnne Gunderson, and later JoAnne Carner, she dominated women’s golf-and nobody had more fun dominating than she did. There was a little Babe Ruth in her, a little Babe Zaharias, a little Walter Hagen and a little Shelly Winters, too. It made for some package. 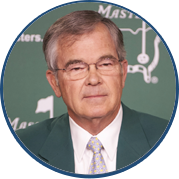 “The ground shakes when she hits it,” Sandra Palmer once said, and with that statement the LPGA had a different type of folk hero to package with the glamour of Jan Stephenson and the youthful innocence of Nancy Lopez. While the youngsters were selling the LPGA Tour, Carner was going back to her Gulfstream motor home, where her husband, Don, had prepared dinner and found a stream where the fish were just waiting to take their lures. 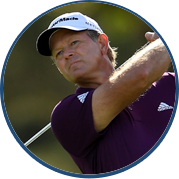 “I play better golf living in our trailer,” Carner said, and for a long while, nobody played it better. "Some people are afraid to win, others are afraid to lose, I think winning is a lot more fun." 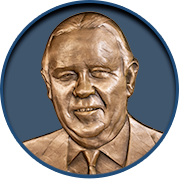 As an amateur golfer, Gunderson was the historic equal of Zaharias and Glenna Collett Vare. 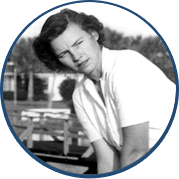 Born in Kirkland, Wash., she came out of the Pacific Northwest and won the U.S. Girls’ Junior title in 1956. One month later, she lost in the final of the Women’s Amateur to Marlene Stewart to begin a 13-year run where she either won the national title or finished second seven times. 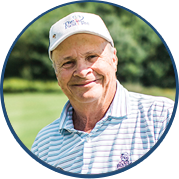 Four of her five championship finals were blowout victories, but in 1966, it took Carner 41 holes to defeat the then-married Marlene Stewart Streit. It was the longest final match in U.S. Women’s Amateur history. JoAnne Carner extended her record as the oldest player to make a cut on the LPGA Tour to age 64 during the 2004 season. Carner’s second victory as a professional came in the 1971 U.S. Women’s Open, making her the only golfer in history to win the U.S. Girls’ Junior, the U.S. Women’s Amateur and the U.S. Women’s Open titles. 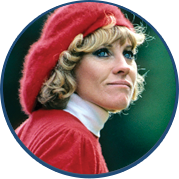 She won the Women’s Open again in 1976 and 42 LPGA titles in a 14-year period from 1970 to 1984. Three times she was Player of the Year, five times the Vare Trophy winner and all the time the clubhouse leader in body language, crowd interaction and exhortations.